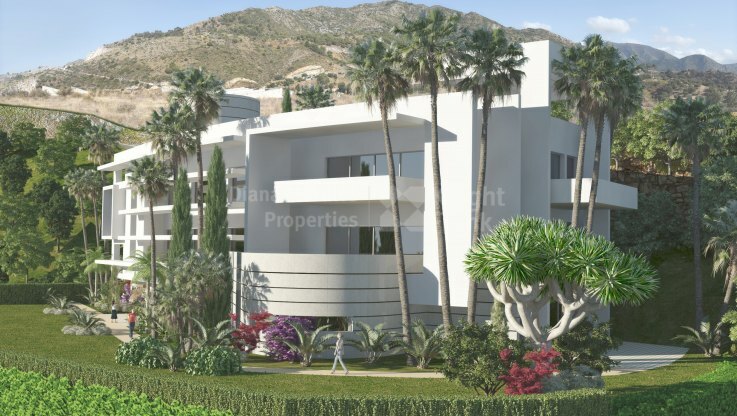 Please, send me more information about ref DMD1374 in Ojen or similar properties. 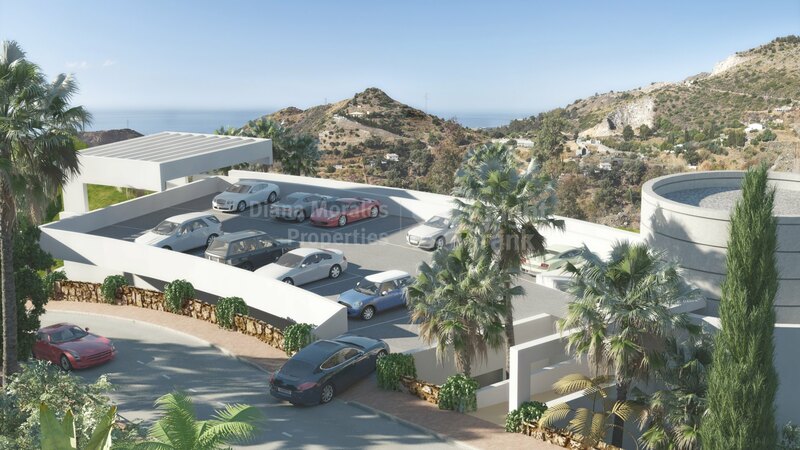 Large fenced residential complex of approximately 500 properties, including houses and apartments. It will benefit from low density, bright buildings, large plots and leisure facilities. 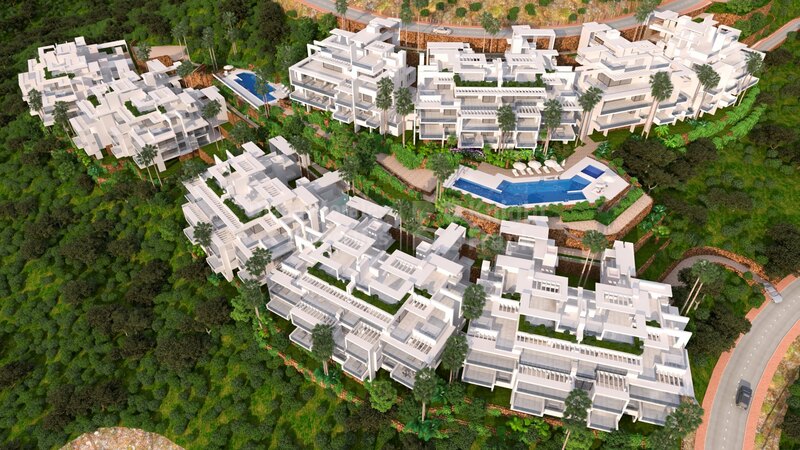 Fifty hectares of land that stretch from the north entrance of the Ojén Road to the southern part of Río Real and protected forestry. It will be developed in successive phases, the first one consisting of 75 luxury apartments in 9 separate buildings, each with its own distribution and identity, with an interesting pre-launch offer for a limited time. 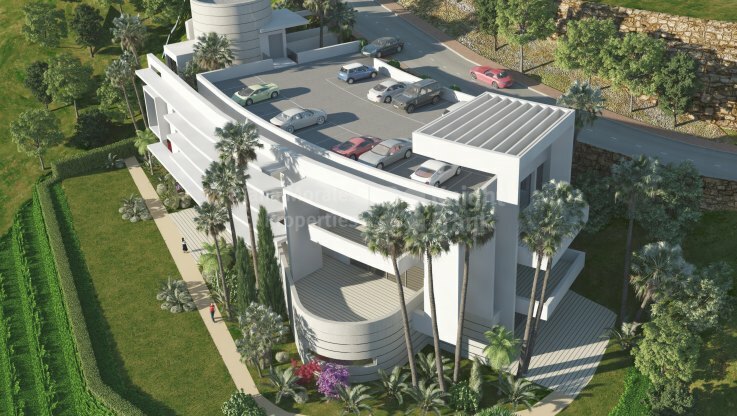 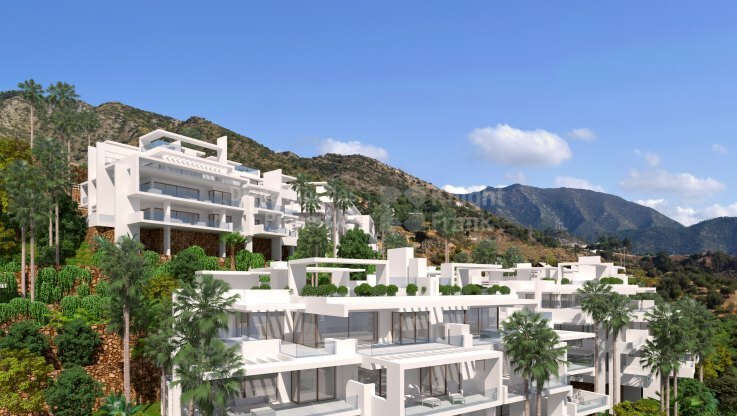 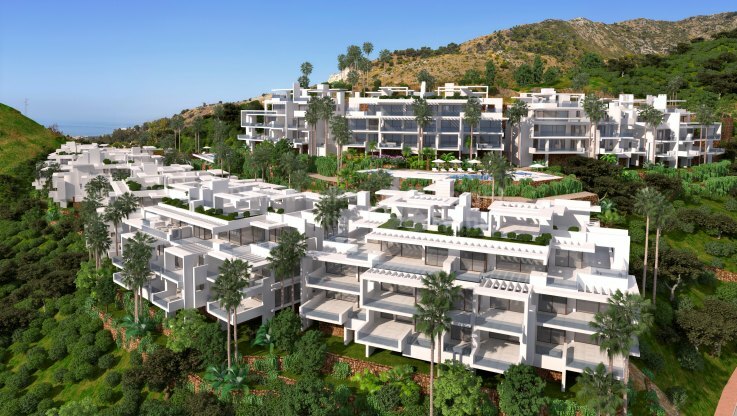 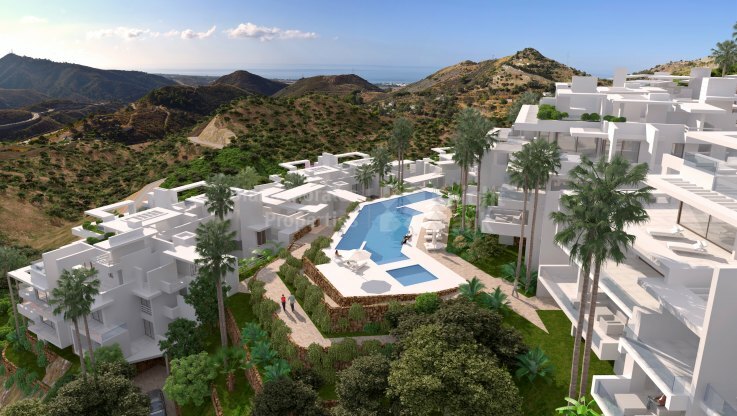 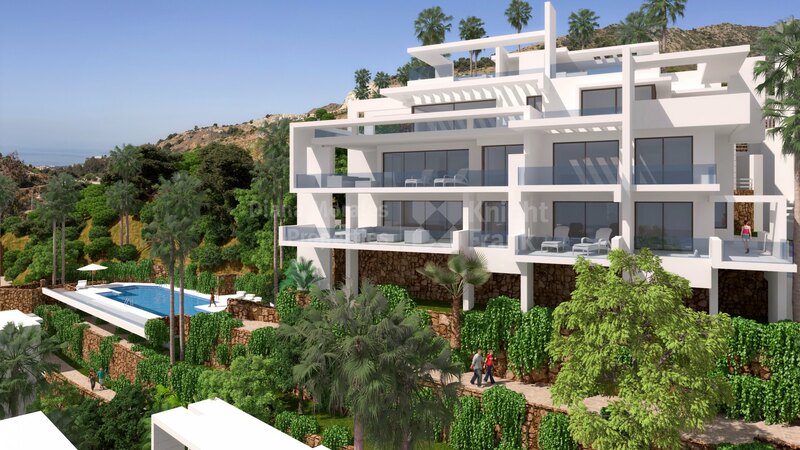 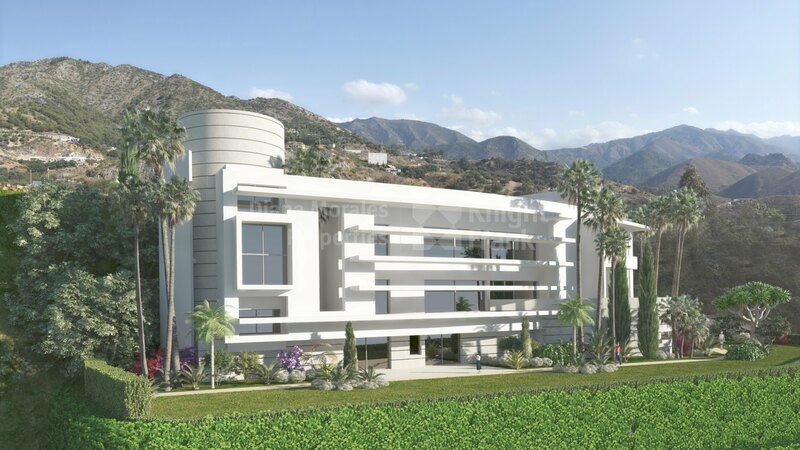 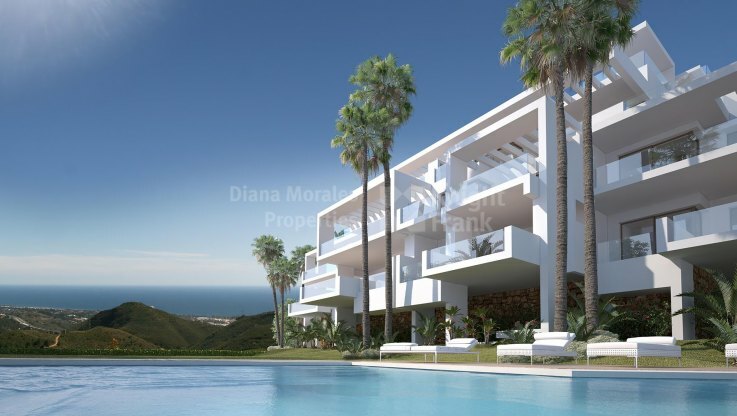 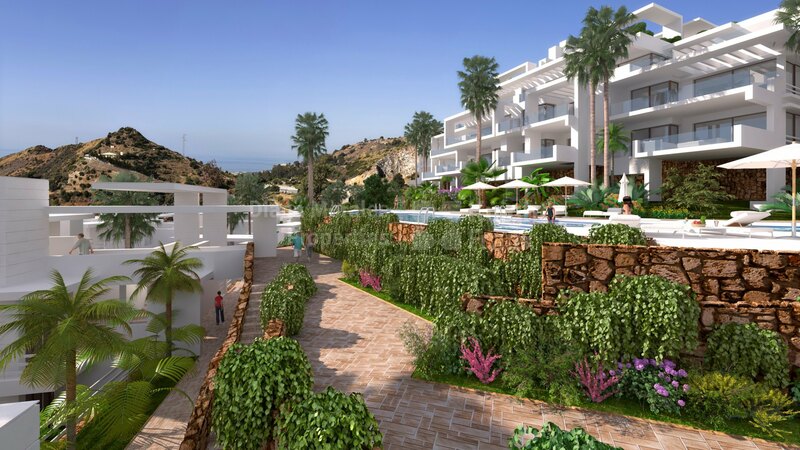 Properties with open-plan dining room bathed in light, terraces with their own private plunge pool will be some of the features of this contemporary development with spectacular views, located just 5 minutes from the ring road of Marbella, at 3km. 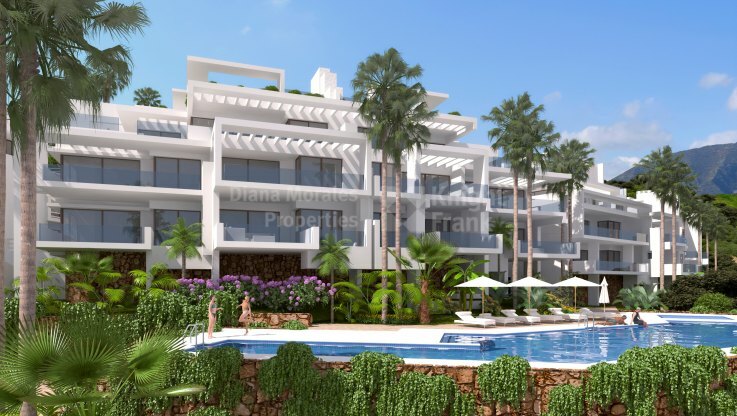 from the charming town of Ojén and 15,5km. away from Puerto Banús Marina. Every home will be provided with high quality floorings, LED lighting, state-of-the-art climate control, a fully-fitted kitchen, bathrooms, carpentry and fully-insulated UV protection windows. 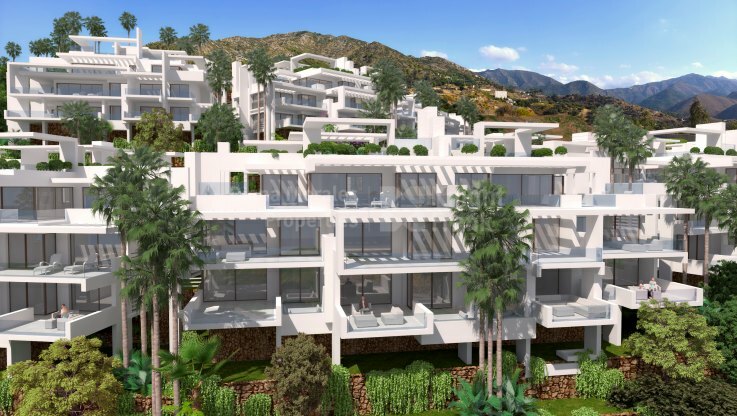 In addition to the basic selection, buyers will be offered a choice of customizable extras and upgrades via a designated interior design expert. There will be two large pools and two children’s pools as well as a heated lap pool. The main entrance will provide 24-hour security and each separate unit will have restricted entrance via the use of a security token. 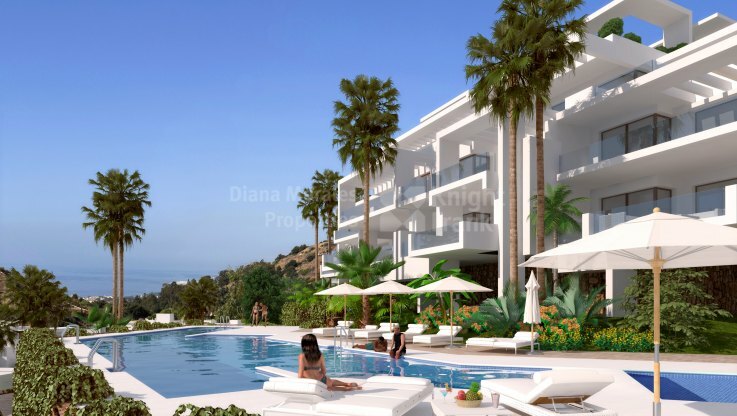 There will be a Health Club with a state-of-the-art gym, fitness studio, indoor pool, spa, sauna and steam room whilst children can enjoy the kids club. A business centre within the health club offering Wi-Fi, cafe and uncluttered working spaces, pay-as-you-go concierge service for private chef booking, car cleaning, grocery stocking or laundry service are some of the services offered to manage a comfortable daily life.